Chia Yi Hsieh where we have been rooting and developing the caster business for decades. 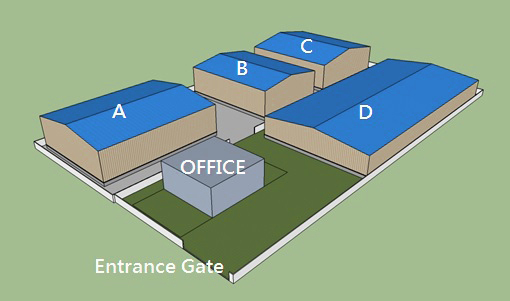 Soon upon entering the gate, the first thing we will see is the office,where we deal with the business and administrative affairs. This is where we handle the orders, shipping preparations and daily routines. When we go inside, we will see the factories. We have A, B, C and D four factories and each one has its own purpose. A is warehouse, B is for metalwork, C is for plastic injection and D is for assembly & dispatch. This is where we place the materials. We put all these materials including semi-finished products on the shelves. 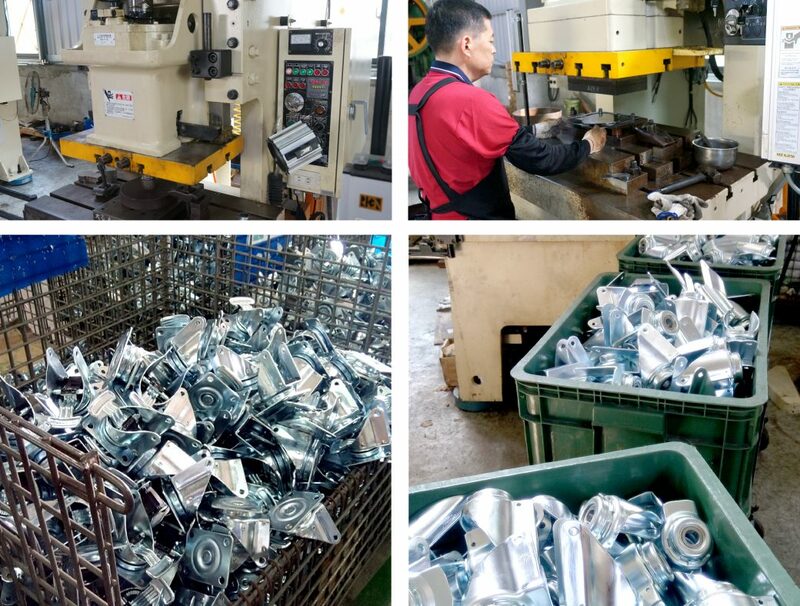 In addition to screws, iron tubes and other small parts, the semi-finished products such as the caster frame after metalwork, the plastic parts after injection, will be placed here as well. 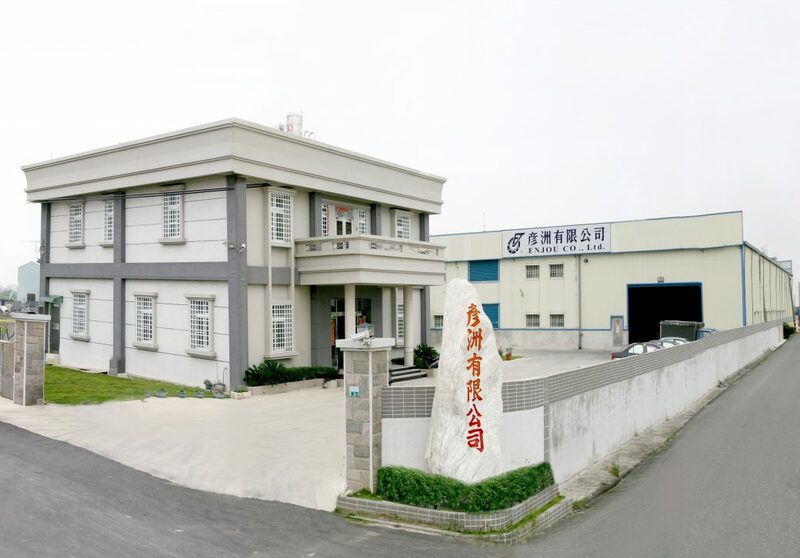 The warehouse is divided into different areas – plastic materials area, the screw area, plastic semi-finished products, frame area, iron tube parts area and so on. Light parts will be placed on upper shelves, while heavy and commonly used parts will be placed on lower shelves. Each shelf has its own corresponding number which clearly shows the place and item, and it facilitates the internal storage operations. The factory is equipped with punch to press the iron plate forming. The iron plate material will be directly sent to the metalwork factory. After several stamping steps, the frame will be formed perfectly. Then it will be sent to the electroplating factory to do the surface treatment. All the pressed steel made frames of TKS casters are made in our metalwork factory. There are total nine plastic injection machines in service at the moment. 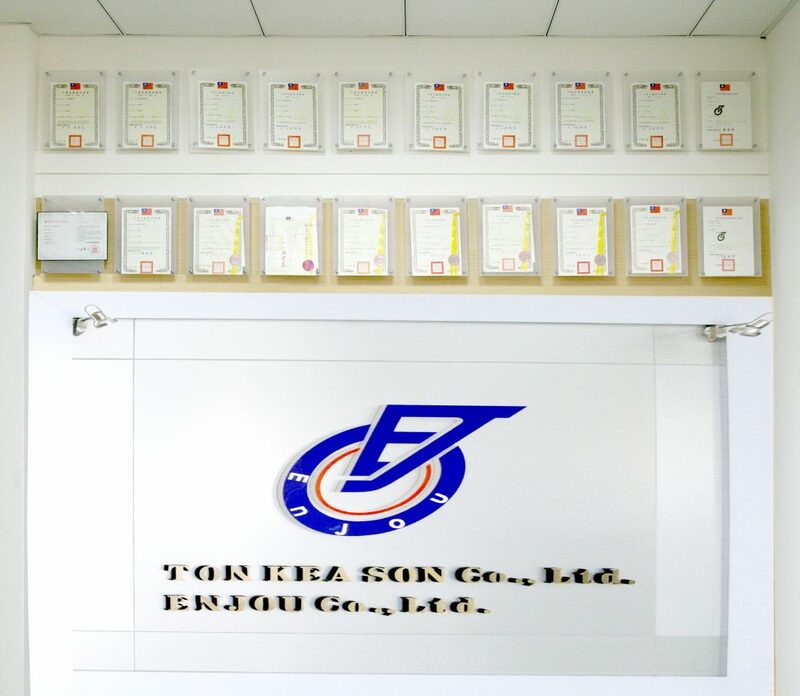 Starting from checking the quality of plastic materials, after plastic materials are sent to the machine, we will have a staff to watch the entire process to ensure that the quality of injection products meets the requirements. 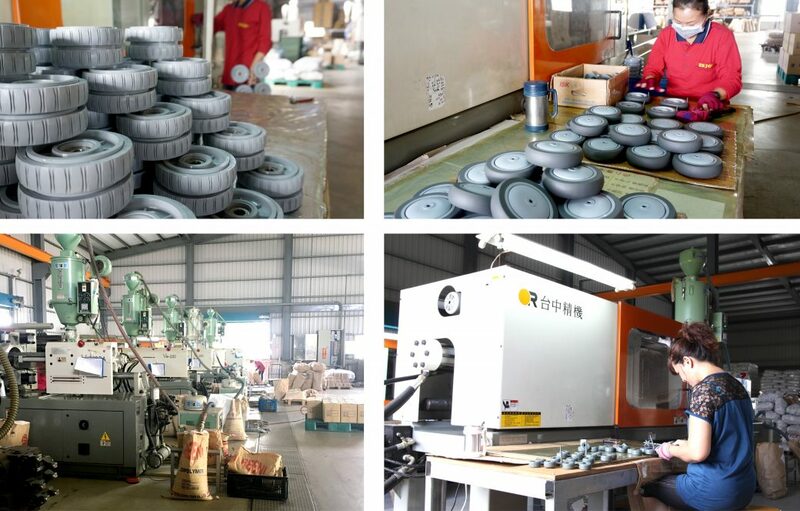 Plastic injection factory makes the plastic parts of TKS products such as wheels, dust covers, tooth seats and pedals, as well as plastic frames. After processed at metalwork & plastic injection factories, the components will be sent to assembly & dispatch factory to assemble. When the assembly is done and test is passed, the products will be ready to be shipped. the domestic medical assembly line and foreign medical assembly line. The parts are neatly placed aside that can be easily accessed during assembly. The work area clearly identifies the items and the steps to be followed on each assembly line. The staffs should follow the assembly process to meet the requirements. The domestic medical assembly line area also has a packing area. The well-assembled casters are cleaned and checked one by one. After checking, the casters will be packed and shipped out.